AH-64D Longbow is an ultra-realistic PC flight simulator of one of the world's most advanced attack helicopter, the AH-64D Longbow. Released on May 31, 1996, this simulation was developed at Origin Systems, Inc. by producer Andy Hollis and director Will McBurnett. AH-64D Longbow was the second simulator released under the Jane's Combat Simulators line from Electronic Arts. It had the most authentic flight model for a helicopter (for its time), and every aspect of the electronics systems were meticulously detailed. The weapons had realistic operational ranges and limits, and all friendly and enemy units were strictly based on their real-life counterparts. A wingman helps the player, and the player takes on Russian equipment in multiple single missions and campaigns, as well as a handful of historically-accurate missions in which it is possible to 're-live' memorable battles. A mission disk, entitled Flash Point: Korea was released as an add-in in 1996, and a compilation pack, Longbow Gold was released in 1997. A sequel, Longbow 2 was released in late 1997. In 1998, Longbow Anthology was released, which included the whole Longbow series. Longbow, in its various forms, sold over 1 million copies. 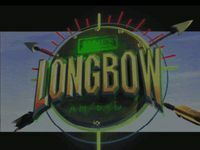 Longbow won many awards, including 'Flight Simulation Of The Year' (1996) from PC Gamer, Computer Gaming World, and Computer Games Strategy Plus. Limited success has been achieved at getting this game to run on modern PC systems by using the MS-DOS emulator DOSBox. The biggest problem here is the low framerates, and even on the lowest graphics settings, the game plays like a slideshow, rendering it nearly unplayable (on low end PC), however on modern dual- or multi-core systems the game plays smooth with full details (if the parameters in the DOSBox settings file are changed). Source: Wikipedia, "AH-64D Longbow (video game)", available under the CC-BY-SA License. Additional: This game plays at full graphics settings with a framerate of 50-60 fps under Windows 7 64-bit, in DOSbox with all default settings, on a laptop with 2 GHz AMD CPU.